We’re the Episcopal Chaplaincy serving Episcopal patients, their families and staff at Stanford Hospital and Medical Center along with other hospitals in San Francisco. At Stanford and other hospitals, we complement the Hospital’s Spiritual Care Service by ministering through the Episcopal Church’s traditions and services as found in the Book of Common Prayer. We hope you will let us know if you or someone in your family will be staying in Stanford Hospital or a hospital in San Francisco – we’d love to visit while they are here. Our Chaplain can use the internet to follow up with you through email. chat, or text messages. Or we can set up a personal meeting in the Hospital. Please use this form to make an E-chaplain request. You can also file an online prayer request and or sign up to join our Prayer Care team or volunteer to visit Episcopal patients in the Hospital. We’re recruiting new volunteers to help us provide spiritual care for Episcopal patients at Stanford Hospital. Please check out this information on our Fall 2017 training program and requirements if you are interested. During our visits, we sometimes pray together using the Book of Common Prayer, read a familiar Psalm or bring you communion that from a nearby Episcopal church. On other visits, we may engage in open-hearted conversation. Sometimes we just listen. Our goal is to offer pastoral care in the tradition of the Episcopal Church, bringing familiar rites and prayers into your life while you are here. Our chaplains are available to minister to you. They can anoint patients, pray with you; or celebrate communion in your room for you and your family. Many of our chaplains are Episcopal priests who can provide the Episcopal service for Reconciliation of a Penitent (which is also known as confession). They can also assist if you need spiritual counseling while completing an Advance Directive. You may also email Chaplain Tom Jackson at tcjackson@episcochaplain.org with communications that are not urgent. This email account is reviewed regularly but is not a timely way to request urgent assistance. For patients at Stanford Hospital, urgent requests for the Episcopal Chaplain should be made through the Spiritual Care Service or the On Call Chaplain. See how you can help support our ministry. Please contact us if you would like a visit or have a question about our Chaplaincy. The Episcopal Chaplaincy is a ministry of Bay Area Episcopalians. We are supported by contributions from Episcopal congregations, individuals and the Episcopal Diocese of California. 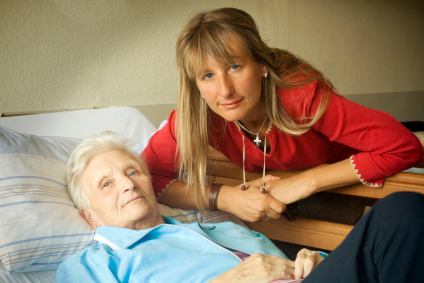 We receive in-kind assistance – but do not receive financial support – from the Hospital. To help keep us going, please make a contribution here.